An easy, step-by-step tutorial on how to roast garlic two ways (one slow, one fast)! Perfect for adding to sauces, dressings, salads, or using as a spread! Heat oven to 400 degrees F (204C). Slice the very top of the head of garlic off and drizzle with oil and a little salt. Wrap loosely in foil and set directly on the oven rack. Roast 45 minutes - 1 hour or until fragrant, golden brown on top, and tender when squeezed. Remove from oven, unwrap, and let cool 10 minutes. 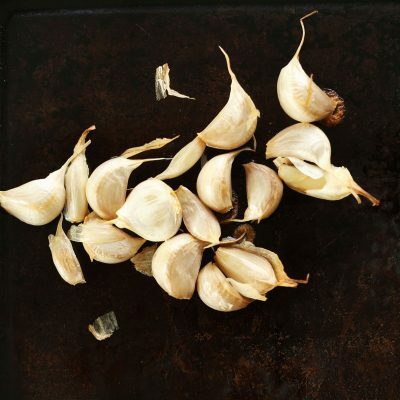 To extract roasted garlic cloves, squeeze from the bottom of the clove up and the soft clove should come right out. Use immediately in sauces, dressings, as a spread, and more! To store, transfer cooled cloves to a small glass jar or Tupperware container and top with olive oil to cover. Cover with a secure lid and store in the refrigerator up to 2 weeks. Scoop out and use as needed. 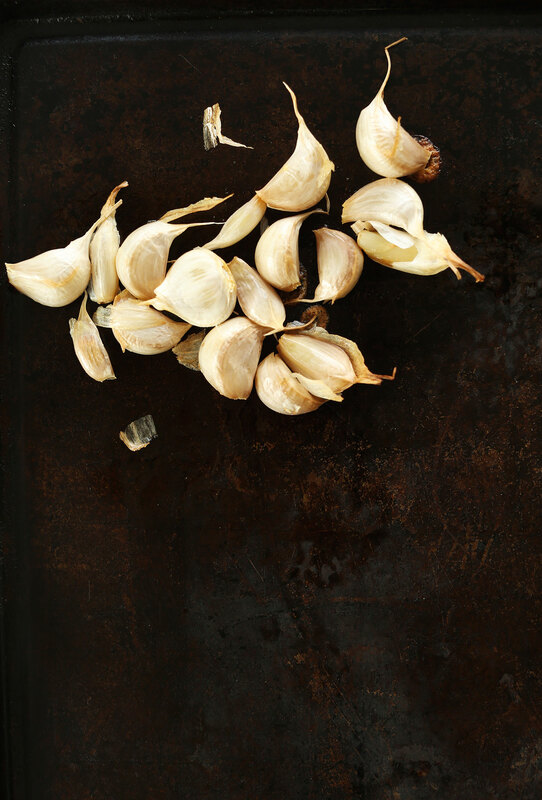 Take the head of garlic and separate into cloves but leave the skin on - discard any remaining skins that shed. Place cloves on a baking sheet. Drizzle cloves with a little oil and toss to coat. Then bake for 15-25 minutes, or until slightly golden brown and fragrant - be careful not to burn. Remove from oven and let cool 10 minutes. Then peel off skin and use immediately in sauces, dressings, as a spread, and more! To store, transfer cooled cloves to a small glass jar or Tupperware container and top with olive oil to cover. Cover with a secure lid and store in the refrigerator up to 2 weeks. Scoop out and use as needed. *Nutrition information is a rough estimate for 1 serving (1 whole head roasted garlic) calculated with oil and salt. Is it possible to roast garlic without oil? I recently tried to roast a few cloves but they were still raw. Did I not leave them in long enough? Can I only do it by cutting the head of garlic off? Thank you in advance. Hi Jenna, you do not have to use oil, but it does help it get a little more caramelized. We recommend cutting the top off the head of garlic and wrapping the remainder in foil. Our best guess for why your cloves were still raw would be that they didn’t cook long enough. Hope that helps!